Because this is an area full of agricultural and mountainous landscapes, the Turrialba valley is the perfect place for bird lovers. The wide range of habitats and topography help contribute greatly to the area's wealth in species, as well as satisfying the demands of even the most experienced birdwatchers. 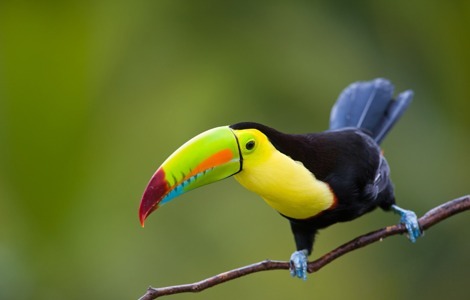 Common species include toucans, motmots, orioles and hummingbirds. 2 hour tour. To be paid at the school. Transportation, guide and breakfast included. The Canopy Tower, not far from Panama City in Soberanía National Park offers world-class, unique birding and natural history experiences, led by friendly and knowledgeable bilingual guides. From the observation deck you'll be virtually eye to eye with such avian treats as toucans, tanagers, honeycreepers and hawks. From here you can also visit various birding sites including the legendary Pipeline Road, arguably the best birding location in Central America. With the highest concentration of endemic bird species, Boquete’s cloud forests and ecosystem have numerous trails that feature one of the world’s most elusive birds, the Resplendent Quetzal. You may also see Three Wattled Bellbirds, Caracaras, as well as numerous hummingbirds. 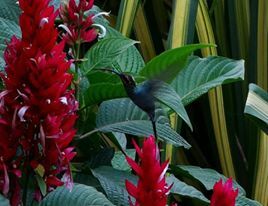 Having a guide knowledgeable about the area is key to spotting many of Panama’s rare and exotic birds.